Since this is a Catholic blog, I assume that the majority of the readers are of the same religion. As such, Catholics are required to believe that the keys to heaven and hell - the very means of salvation, reside solely in the papacy and the magesterium - which is protected by the guidance of the Holy Spirit, especially so when speaking ex cathedra on matters of faith and morals. Whatever form it would take, the mark of the Beast would have to be formally identified as such by the Church before it could be considered to have any spiritual effects as to the destiny of the soul. Until it does so, think of the material presented here as the "case for the prosecution". So I don't believe that using cell phones will have any immediate spiritual effects until the Church reaches a formal decision on this matter. For now, as far as I'm aware, no one of any authority in the Church is aware of these arguments - so any decision on this subject appears to be very far off indeed. So technically speaking (in theory at least), if you own one now (and the vast majority of the readers of this blog almost certainly do) it should be possible to continue using one until the Church issues a verdict itself. Yet, unlike a mircochip implant, everyone actually desires to have one. As well as being central to daily business operations and allowing us to keep in contact with family members, they have also become a fashion statement, with the use of older models often being met by sneers and derision - which brings us back to Jesus' condemnation of the ever more elaborate phylacteries worn by the self-aggrandising Jewish leaders in the 1st century. They have become a "catch-all" device, with in-built functions including internet gateway, gaming, camera, video recorder, and calculator. And this level of covetousness is even before they become central to engaging in commerce. The strong inclinations that will undoubtedly prevail in favour of keeping them means that a large number of people will already be programmed to automatically reject the idea that the cell phone could be the ultimate fulfilment of the prophecy of the mark of the Beast. They truly are a temptation worthy of the wiles of the Devil. 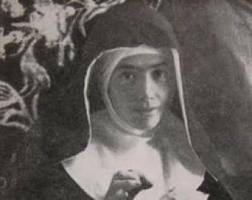 Blessed Elena Aiello (1895-1961), an Italian stigmatic nun, who was beatified by Pope Benedict XVI in 2011, also made some prophecies which appear to link the future martyrdom of a pope with a coming chastisement involving a massive earthquake. You can find some biographical information on Bl. Elena at the Mystics of the Church blog here. “The new Pope, putting the enemy to rout and overcoming every obstacle, guides the ship right up to the two columns and comes to rest between them; he makes it fast with a light chain that hangs from the bow to an anchor of the column on which stands the Host; and with another light chain which hangs from the stern, he fastens it at the opposite end to another anchor hanging from the column on which stands the Immaculate Virgin." It is also interesting to note that in addition to associating the eschatological earthquake with the martyrdom of a future pope, Bl. Elena also appears to have foretold that fire would fall from the sky to consume the earth after a great flood which would see "the overflowing of streams and the seas" - which also conforms to the mega-tsunami hypothesis I forward in my book Unveiling the Apocalypse (given that tsunamis tend to primarily travel inland along rivers after making landfall). “In so saying Our Lord God disappeared. Then the Madonna appeared to me. She was dressed in black, with seven swords piercing Her Immaculate Heart. Coming closer, with an expression of profound sorrow, and with tears on her cheeks, she spoke to me, saying: ‘Listen attentively, and reveal to all: ‘My Heart is sad for so many sufferings in an impending world in ruin. The justice of Our Father is most offended. Men live in their obstinacy of sin. The wrath of God is near. Soon the world will be afflicted with great calamities, bloody revolutions, frightful hurricanes, and the overflowing of streams and the seas’. ‘Cry out until the priests of God lend their ears to my voice, to advise men that the time is near at hand, and if men do not return to God with prayers and penances, the world will be overturned in a new and more terrible war. Arms most deadly will destroy peoples and nations! The dictators of the earth, specimens infernal, will demolish the churches and desecrate the Holy Eucharist, and will destroy things most dear. In this impious war, much will be destroyed of that which has been built by the hands of man’. ‘CLOUDS WITH LIGHTNING FLASHES OF FIRE IN THE SKY AND A TEMPEST OF FIRE SHALL FALL UPON THE WORLD. THIS TERRIBLE SCOURGE, NEVER BEFORE SEEN IN THE HISTORY OF HUMANITY, WILL LAST SEVENTY HOURS. GODLESS PERSONS WILL BE CRUSHED AND WIPED OUT. MANY WILL BE LOST BECAUSE THEY REMAIN IN THEIR OBSTINACY OF SIN. THEN SHALL BE SEEN THE POWER OF LIGHT OVER THE POWER OF DARKNESS’. ‘Be not silent, my daughter, because the hours of darkness, of abandonment, are near. ‘I am bending over the world, holding in suspension the justice of God. OTHERWISE THESE THINGS WOULD ALREADY HAVE NOW COME TO PASS. Prayers and penances are necessary because men MUST RETURN TO GOD and to My Immaculate Heart—the Mediatrix of men to God, and thus THE WORLD WILL BE AT LEAST IN PART SAVED’. ‘Cry out these things to all, like the very echo of my voice. Let this be known to all, because it will help save many souls, and prevent much destruction in the Church and in the world’. The material below is taken from the financial section of the UK broadsheet newspaper The Telegraph on 19th April 2012. It concerns the widespread rollout of NFC PayTag stickers by Barclaycard, which customers are encouraged to stick to their mobile phones to allow fast and easy contactless payments. The article also explains how this technology is set to replace cash transactions in the near future. For anyone who owns a mobile phone which doesn't have NFC technology already integrated into the handset, these stickers allow easy access to contactless payments. But in the immediate future, all cell phones will have this technology fully incorporated by default. The end of the cash economy is nigh. Millions of Barclaycard Visa cardholders are about to find they can make “contactless” payments of up to £15 (and from June, £20) by means of a sticker called a PayTag on the back of their mobile phones, which will merely have to be waved over a reader device without need of a signature or a PIN. Hardly the end of civilisation, I hear you say: what’s so sinister? Like the Oyster Card and pay-by-phone parking, any electronic application that removes the need to carry a pocket full of change – or scuttle to find some when you’re in a hurry and it’s pouring with rain – is surely to be welcomed. Technophobia can be irrational, and is overcome by familiarity: some of us resisted hole-in-the-wall cash dispensers long after they were introduced, on the grounds that PIN numbers were hard to remember, the machines were in exposed places and often out of order, and we preferred to be handed cash by a polite cashier who addressed us by name. But the technology became more reliable, PINs and passwords became basic tools of existence, and we realised that bank staff no longer knew or cared who we were. So the ATM became part of the furniture of life, with no accompanying sense of unease. And that’s probably the way it will be, five years hence, for the daily stream of cashless, contactless transactions that will have largely replaced the regular visit to the ATM. The need for notes and coins will gradually diminish, and we will begin to forget why we ever felt emotionally attached to the idea of them. The potential for reducing cash-related misbehaviour is a big arrow in the quiver of the advocates of cashlessness. It’s easy to count who loses out in the transition: not just the mugger but the market stallholder, the vendor of contraband booze and rolling tobacco, the odd-job plumber and anyone else who routinely fails to account to the taxman. The Spanish government, teetering on the brink of the next episode of Europe’s debt crisis, is proposing to outlaw all cash transactions involving more than 2,500 euros in order to quell the black economy and maximise tax collection – but also proposing to exempt non-residents, so cash-rich British bank robbers can rest assured that they will still be able to live it large on the Costas. In addition to the world's governments being able to claim billions in lost revenue from tradesmen who are usually paid up-front in cash and can thus can escape paying taxes, it also has the potential to eliminate illicit trades dependant on cash transactions, such as prostitution, drug-dealing, illegal gambling, as well as robberies and the selling on of stolen goods. The world's banks also stand to profit from cashless transactions, as they will escape from having to maintain ATM machines, which require regular restock of cash via costly security transit firms, which are also frequently subject to robberies. It would also lessen the requirement of many of the functions of the humble bank cashiers and physical branches, which largely deal with cash and cheque deposits and withdrawals, meaning that banks would make massive saving on store fees. So it is easy to imagine that this form of cashless society will be eventually pushed through at the insistence of both the world's governments and banking systems. 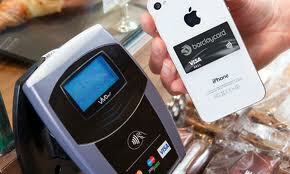 The tag is about a third of the size of a normal credit card, and can be stuck onto any flat surface. So it doesn't matter whether your phone is the latest iPhone, BlackBerry or even an 80s style phone the size of a brick. Indeed, it doesn't even have to be on a phone at all. If you have a particularly chunky watch, or carry an Oyster card with you all the time, the PayTag can be placed on that instead. Barclaycard has chosen to market PayTag in this way because it believes the mobile phone has become the most essential thing to have about your person at all times. When the time comes to pay for your items, you merely hover your phone (or wherever you've placed the PayTag) over the payment terminal and your payment should be made. I tried it out myself and can report that it was extremely easy – and most importantly, quick – to do. The Royal Canadian Mint recently unveiled its vision of how digital currency will replace cash in the near future, with its development of the MintChip. It issued a video which elabarates how this form of digital money is set to replace cash tranactions through cell phones, etc. The most frightening prospect of this cashless society scenario is that it will become truly impossible to buy or sell anything without owning a cell phone with built-in NFC technology capabilities. So even if we chose to forgo using cell phones now, we would be compelled to own one in the future if we wanted to be able to engage in any form of commerce at all - even down to the tiniest transaction. The only viable alternative would be to live in a truly self-sustaining farm or community - which simply isn't a option for the vast majority of people. WWW and 666: The "Mark" on the Forehead? 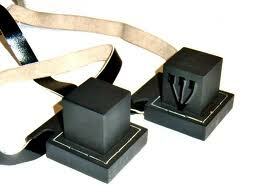 In Unveiling the Apocalypse, I argue that the prophecy of the mark of the Beast is actually an antithetical parallelism of the ancient Jewish practice of wearing phylacteries (aka tefillin), box-shaped containers worn on the forehead and arm in accordance with Deut 6. It logically follows that the mark of the Beast would have been understood by the original author of the Book of Revelation to be fully visible objects worn in the hand or forehead. Something more akin to an amulet or talisman, than to a brand or tattoo. In the book, I suggest that the closest modern analogy to this ancient Jewish custom is the current ubiquitous use of cell phones, which are set to replace the credit card as a means of electronic commerce via "contactless payments" and NFC technology. (See the earlier post The Mark of the Beast?) 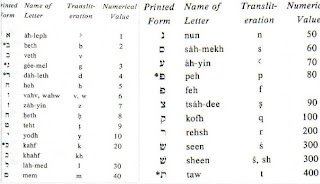 So in the coming future "cashless society", all commerce will be conducted over the worldwide web (www - which is the numerical equivalent of six-six-six once transliterated into the Hebrew alphabet - see the post Hebrew 666?) and everyday monetary transactions will be made through internet enabled smartphones. 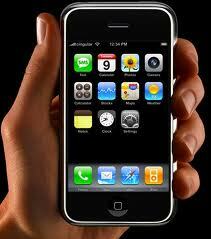 See the below Iphone commercial for an example of how this cash replacement technology is currently being employed. ...in the not too distant future, the use of internet enabled mobile phones may also provide an explanation for the Apocalypse's assertion that the “number” of the Beast, or “anti-phylactery”, can be worn upon the forehead. In 2006, a South Korean company known as Kowon Technology, launched a range of “anti-glance” personal LCD TV glasses in response to the surge in demand for TV streamed to mobile phones. Inspired by the annoyance of other people glancing over the viewer's shoulder to catch a glimpse of the latest action on TV, Kowon Technology developed a head-mounted display unit that allows the user privacy of content. This device consists of a pair of glasses with two 4.8 x 4.2 mm, 320 x 240 LCD panels in front of each eye, which provide the user with the illusion of a 32” TV screen hovering at the distance of two metres away from the face. This innovation thus helps to solve one of the most regularly complained about features of mobile TV – the insufficiently small viewing screen. Although LCD TV glasses are perhaps too bulky at present to attract a wide demographic in the west, it is foreseeable that future wireless, slim-line versions of the device will be indistinguishable from normal sunglasses, thus rendering their appearance as socially acceptable and maybe even as a desirable fashion accessory. 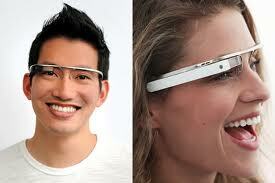 This potential may yet ensure that TV glasses will be a future craze in the technology market. External appearances aside, the sheer practicality of LCD TV glasses should guarantee their future success, as they could help to revolutionize portable personal computing. Devices such as smartphones and tablet computers look set to replace the laptop pc as the ultimate portable computing device. With the increasing miniaturization of technology and the rise of smartphones, the need for an everyday laptop as a means of surfing the internet has become redundant. However there remains some limitations to the smartphone – the screen size available on a truly pocket-sized device such as a mobile phone renders it inadequate for the purposes of portable computing equipment. Large amounts of text need to be visible and readable on-screen at any given time in order for it to be truly efficient as a personal computer. This problem is easily solved by the ability to use LCD TV glasses with the handset, which can be used to meet the large screen prerequisite that would enable the smartphone to become the ultimate portable handheld personal computing device. There is a current trend among purveyors of technology to advance the integration of household and portable gadgetry into one compact and easy-to-use format. The very nature of the mobile phone as an essential, pocket-sized piece of kit that can easily be carried at all times, ensures that it provides the best support for the integration of technology into one handheld device. Indeed, we are presently witnessing the incorporation of digital camera, video camera, television, internet gateway and gaming device into the already cumbersome list of the mobile phone’s utilities. The large screen requirement demanded by mobile TV and pocket-sized portable personal computers should ensure that a slimmed down version of the LCD TV glasses will become an everyday item in the near future. Dr Michio Kaku, a leading theoretical physicist and futurist, predicts that a slim-line version of computerized TV glasses will soon have widespread popular use over the course of the next few years. This future possibility may help to solve the apparently peculiar condition set down by Rev 13:16 that the “mark” of the Beast could also be worn upon the forehead. To gain a better description of what this mark will look like, we must again turn to Exod 13:16, Deut 6:8, 11:18 which are among the major influences behind this particular portion of the Apocalypse. Deut 6:8 states that the commandments should be worn by the followers of Yahweh as a visible sign of the covenant, instructing they are to be bound to the hand, or worn as totapoth between the eyes. 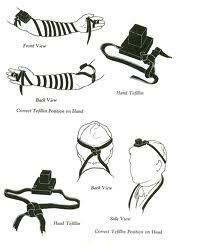 Although the true nuance of the word is not fully conveyed by some of the available translations, the Hebrew word totapoth is generally interpreted as “frontlet bands” – namely a band like adornment worn around the forehead as a head tefillin. Could a future application of devices such as LCD TV glasses be used to explain how the mark of the Beast will be worn upon the forehead as a parody of the Jewish practice of wearing head tefillin? Since the publication of Unveiling the Apocalypse in 2011, there have been some major developments in the field of "TV", or computerised glasses. Google has recently announced that they are currently developing their own version of computerised headwear which it has touted as offering "augmented reality", and unveiled a prototype version working under the codename "Project Glass". You can find a concept video of this techonology below. The "Project Glass" headset act as an advanced version of the HUD (heads up display) device currently employed in military aircraft, allowing the user access to the worldwide web in real-time in what has been aptly described as "Terminator vision". Prof. Michio Kaku has been predicting this technology for years. See for example some of his ideas on the future applications of this technology (such as the translation of foreign languages in real-time) on the spookily accurate video found here. In the Project Glass concept video, the users' immediate environment is augmented with various pieces of information floating around in their peripheral fields, such as news, traffic and weather reports, or it can give sat-nav directions to any desired location. It can switch at any moment to include a screen to view and browse the internet, or chat through skype etc. Judging by the video, input to the device is achieved primarily through voice recognition, but later versions will almost certainly include gesture based "Minority Report" style input (such as is already found in technology such as Mircosoft's Xbox Kinect), which will allow the user to browse the www in much the same way they would through a tablet computer. And the headsets would presumably be able to connect wirelessly to mobile handsets, which would allow for greater memory capacity and processing speeds, as well as further motion based input, in addition to the more traditional methods of interfacing. A more recent Battlefield 5 concept video for Project Glass also appears to suggest that future applications of this technology would allow it to switch at any stage to virtual reality-style video gaming (most likely using a cell phone as a controller device). Given the various implications that such a device would allow for the user, they will almost certainly prove to be popular amongst technophiles. Although it is highly unlikely that they will ever fully replace the smartphone in popularity. I would expect that most users of these devices would use them in conjunction with their cell phones, and that more advanced versions will be virtually indistinguishable from fashionable sun-glasses. And it is foreseeable that the future of console gaming (which is already more profitable than the movie industry) will be heavily influenced by these head mounted displays. However given that some users will be using these "augmented reality" devices for long periods of time directly upon their heads, the exposure to EMF radiation and its potentially cancer-inducing effects would therefore be significantly increased. (See the earlier post Cell Phones: Carcinogenic or Not?). The Book of Revelation stood this practise on its head, and foretold that towards the end of time, people would be unable to buy or sell without using a similar box-shaped device, but that this time it would be a public display of allegiance to the Antichrist, and would bear the number 666. Much in the same way that the future of commerce is now inextricably linked to cell phones - which are being actively promoted by various world governments, banks, and above all mobile phone companies, as the future replacement of credit cards, and ultimately, of cash itself. As the below video shows, it looks like Alex Jone's media company infowars.com is finally starting to awaken to the possibility that the prophecy of the mark of the Beast has already been realised in modern cell phone technology. The development of a new microchip for cell phones that knows the user’s location to within a few centimeters confirms the fact that contrary to biblical fears about mandatory implantable microchips, people have willingly exchanged their privacy for convenience and that the cell phone itself is the de facto “mark of the beast”. (Read the full article here). Although no mention is made in this report of the similarities between the physical shape of cell phones in relation to the original inspiration behind the prophecy of the mark of the Beast. The notion that the mark of the Beast would take the form of an invisible RFID mircochip implant only became the mainstream thinking on this subject during the 1980's, following publications such as Mary Stewart Relfe's 1981 book When Your Money Fails. Yet nowhere in the Bible is it suggested that the mark of the Beast would be invisible. Rather, given that it based on the Jewish practise of wearing phylacteries, it quite clearly suggests that the mark of the Beast would be fully visible to all - and on a symbolic level, it is meant to be seen as an open sign which contains the number of the Beast, which is encoded on the diabolical "anti-phylacteries" through the process of Hebrew gematria. Much in the same way that the original interpretation of the number of the Beast lay in the fact that the numerical value of the name "Nero Caesar" in Hebrew was 666. Also missing in the deductions reached by infowars.com is the fact that cell phones are set to replace credit cards as a means of commerce through the use of NFC technology and that all transactions made through these means will be conducted over the worldwide web - www. 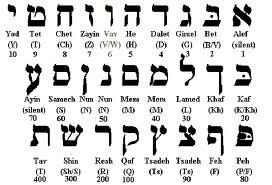 And when we convert these letters into the Hebrew alphabet, and then ascertain their numerical value through the use of gematria, we find that they are converted to three of the Hebrew letter waw - the equivalent of three sixes - six six six. (See the earlier post Hebrew 666?). So the first angel went and poured out his bowl on the earth, and harmful and painful sores came upon the people who bore the mark of the beast and worshipped its image. 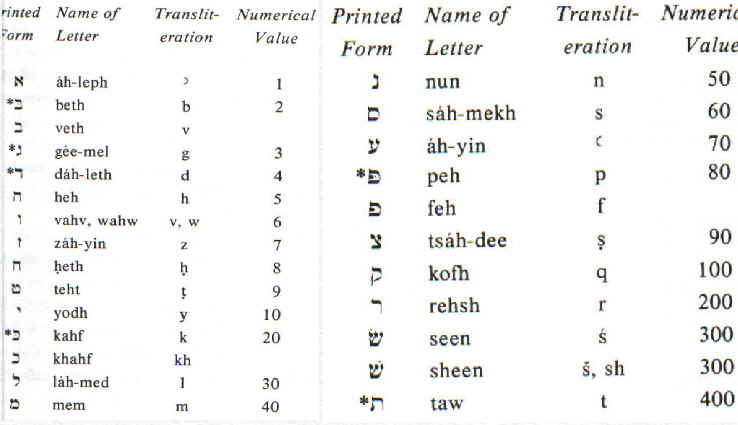 In the post The Synagogue of Satan, I also discuss the possibility that the letters www have been deliberately manufactured to conform to the prophecy of the mark of the Beast by some shadowy secret society. Furthermore, the original Greek word usually translated as "mark" is charagma - a word which is also used to refer to a graven image or crafted cultic object. So the "image" of the Beast appears to be one and the same as the "mark" worn in the hand or forehead. And the "mark" of the Beast can just as easily be translated as the "crafted cultic object of the beast". The fact that the prophecy of the "mark" of the Beast is based on the practise of wearing phylacteries further reinforces the fact that this particular "graven image" or "crafted cultic object" is a box-shaped device. A box-shaped device which has "life breathed into it" (video-screens? ), can speak (either as a phone, through video playback, or through a speak-generating computer program such as Siri), and can issue propaganda (through the www) against those who refuse to embrace it (causing those who would not worship the image of the Beast to be slain). When we look at the exact words of the prophecy of the mark of the Beast, it tells us that everyone, great and small, rich and poor, will be deceived into constructing this "graven image" and accepting the "mark" of the Beast as an essential component for engaging in commerce. So the Bible makes it explicitly clear that everyone would be deceived into accepting the mark of the Beast. This means that those who accept the "mark" do so unwittingly - which is the exact situation we appear to have in the present. If people were literally going to be branded with the number 666 on their hand or forehead there wouldn't be any question of deception - everyone would know exactly what they were doing and exactly what they were accepting. For the prophecy to be realised in the fashion described in the Bible, it would have to be fulfilled in a manner that no-one was expecting. This scenario prompts us to reconsider what the spiritual effects of receiving the mark of the Beast actually are. Given that it would be impossible to hold that an omni-benevolent God would condemn people to eternal torment for accepting a situation that they were unaware of, we would have to conclude that forgiveness is possible in this regard. So reconciliation with God would be possible for those who repent having been deceived into accepting the "mark", while those who persist in using it, despite having full knowledge of what it is that they are accepting, would open themselves to damnation - since this would be tantamount to aligning themselves with the Antichrist. And the sounding of the third trumpet in Rev 8 was predicted to be accompanied by the sign of a great star falling from heaven "blazing like a torch" (which I equate with the last appearance of Halley's Comet and its timing in relation to the Chernobyl disaster in the post Chernobyl, Wormwood, and the Hrushiv Apparitions). Perhaps most importantly, the opening of the sixth seal in the Book of Revelation was foretold to be accompanied by a combination of an earthquake, a total solar eclipse, a total lunar eclipse and a major meteor shower (which in the post Signs in the Sky, I point out all occurred at the turn of the millennium centred on modern Turkey - the location of Pergamum in Asia Minor, which the Apocalypse identifies as "the throne of Satan" in Rev 2:13). As I argue in Unveiling the Apocalypse, the eschatological astronomical phenomena described at the opening of the sixth seal in Rev 6, is once again recapitulated in Rev 12. The Woman Adorned with the Sun with the Moon at her feet represents a total solar eclipse - which corresponds to the Sun turning "black as sackcloth" in Rev 6:12. The Moon at the Woman's feet represents the Dragon intent on devouring her Child, and the red colour of the Dragon represents the reddish hue typical of a total lunar eclipse, which in turn corresponds to the Moon becoming blood-red at the opening of the sixth seal. And the Dragon sweeping a third of the stars from the sky in Rev 12:4, directly refers to the stars falling from the sky in Rev 6:13 (which is also recapitulated again at the sounding of the fourth trumpet in Rev 8:12, when a third of the Sun, Moon and stars are struck). The eleven stars symbolise the sons of Jacob who make up the tribes of Israel, with the tribe of Joseph being divided between his two sons - Mannaseh and Ephraim, bringing the number up to twelve. So the twelve stars around the Woman's head in Rev 12 is a further allusion to the opening of the sixth seal, which includes the sealing of the 144,000 from the twelve tribes of Israel in Rev 7. The manifold similarities between the opening of the sixth seal in Rev 6 and the sealing of the saints in Rev 7, held in juxtaposition with the unfolding of the Divine Drama of Rev 12 and marking of the inhabitants of the earth with the mark of the Beast in Rev 13, further confirms that the bestowing of the saints with the Seal of God is an antithetical parallelism to those who are marked with the number of the Beast. 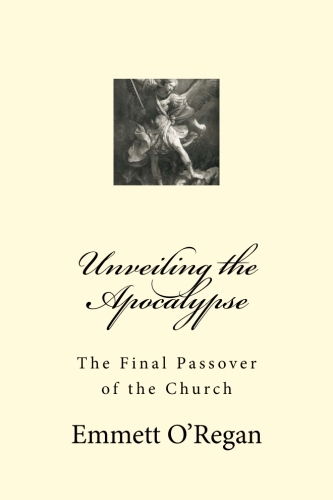 Chapters 6 and 7 of the Apocalypse are therefore directly connected with chapters 12-13, and forms a theological diptych which deliberately contrasts these portions of the Book of Revelation. Since they both describe the same events, the astronomical signs at the opening of the sixth seal thus herald the eschatological casting of Satan to earth described in Rev 12 (which must be distinguished from his primordial fall from grace), and the subsequent rise of the Beast from the sea to mark the inhabitants of the earth in Rev 13 should be considered to be a direct inversion of the sealing of the saints in Rev 7 - events which logically would coincide at the same moment in real-time. Now that we have determined that astrology should be clearly distinguished from the Bible's admonition to regard certain astronomical signs as portentous of contemporary and future world events, we can safely discuss whether the particular planetary conjunction on the 25th March may be imbued with any religious significance. Since it took place on the feast of the Annunciation, it would follow that any particular event this may signify would only be revealed nine months later - the gestation period of an unborn child. So we could safely assert that we would know exactly if it does indeed herald any future event during the Christmas period - close to the rather ominous date of 21st December 2012. We will only know that it was truly a sign if anything of historical or religious importance occurs around this time period. "The glorious Messiah's coming is suspended at every moment of history until his recognition by "all Israel", for "a hardening has come upon part of Israel" in their "unbelief" toward Jesus. St. Peter says to the Jews of Jerusalem after Pentecost: "Repent therefore, and turn again, that your sins may be blotted out, that times of refreshing may come from the presence of the Lord, and that he may send the Christ appointed for you, Jesus, whom heaven must receive until the time for establishing all that God spoke by the mouth of his holy prophets from of old." St. Paul echoes him: "For if their rejection means the reconciliation of the world, what will their acceptance mean but life from the dead?" The "full inclusion" of the Jews in the Messiah's salvation, in the wake of "the full number of the Gentiles", will enable the People of God to achieve "the measure of the stature of the fullness of Christ", in which "God may be all in all". We have clearly not reached the stage of the conversion of the Jews at the Second Pentecost just yet, but there are other prophesied events that it may concern. The promised religious revival to take place at the Second Pentecost is almost certainly the next major prophesied event that is to take place - at least according to any provisional schedule which may be determined from analysing the eschatological events foretold in Scripture. So could it herald the coming of the Second Pentecost itself? This event seems to be intimately related to the prophecies of the ministry of the Two Witnesses and the martyrdom of a future pontiff. And in turn these events also appear to be connected to the "great sign" promised in various prophecies, including those of St. Fautina and Our Lady of Akita. 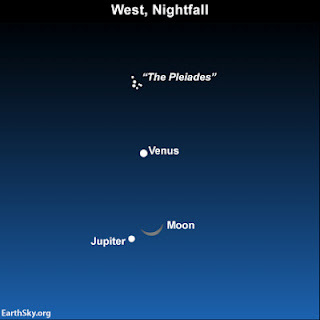 Therefore any of these events are the most likely prophetic occurrences yet to unfold at the highly significant schedule relating to the date of 21st December 2012. Yet foremostly it has to be admitted that the most likely explanation is that this particular date bears no significance at all to the date of the end-time (especially not to Christianity), and that like every other prophesied date purporting to pinpoint the end of the world, it will come to nought. We can only be left guessing until nearer the time. Either way, it is extremely unwise to tie ourselves to an exact date - especially when we know that the coming of the Lord will be as a "thief in the night" (Rev 16:15), and that we should always be prepared for the arrival of the Groom. Attempting to to preempt this crescendo of salvation history through the process of logic is all but impossible. We can only conclude with the same prayer as the apostle himself and subject ourselves to the immanent glory of Christ - Maranatha! "Come, Lord Jesus!" (Rev 22:20).